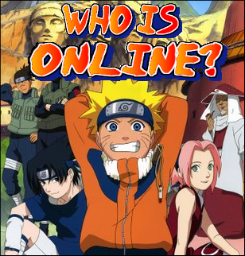 Hello and Welcome to Naruto: Path to Destiny, If you are new... Please create your character before RolePlaying. Kage Spots are First- Come, First-Serve until all Kage Spots are filled. All Canon spots are available. This site has been dead for quite a while so i want to do something about it. If people could recruit other people (friends, members of other sites, etc.) then we would be able to revive this site. the Uchiha clan is known for their Doujutsu 'Sharingan' and Fire Element. The Uchiha's are also usually found in Konohagakure. this clan is one of the founding clans of Konohagakure. They are well known for their ability to manipulate wood. the Fuuma Clan is a band of ninjas. they have a wide variety of Bloodlines. Some Fuuma Clan members have the very rare Rinnegan Doujutsu. The Hyuuga clan has the Doujutsu 'Byakugan'. the Kaguya clan are able to remove bones in their body at will and use them as weapons. The Inuzuka Clan Have ninja dogs as their partners. The Aburame Clan are Bug Users. The Nara Clan are able to control their Shadows. Members of the Attacks Clan are able to shapeshift. Advertise your site here but be sure to advertise this site on yours as well. here you can post short stories that you wrote, poems, drawings, etc. Any suggestions to make this site better? Post them here!